The Le Patio network of shops and cafés opened a new restaurant – Resto Café Patio. The launching party proved that this colonial-style venue with French and Mediterranean cuisine has ambitions to add a welcome bit of spice to Prague’s gastronomic scene. 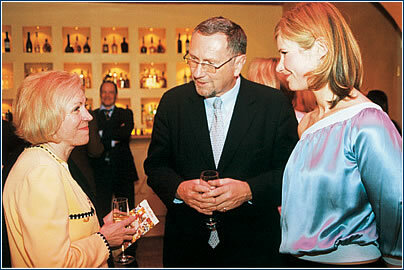 Margaret Huber (left), Canadian ambassador; Marko Pařík, owner of Le Patio and his daugther Alexandra Paříková, director of the company. Dana Morávková, actress and moderator with musician and composer Petr Malásek. 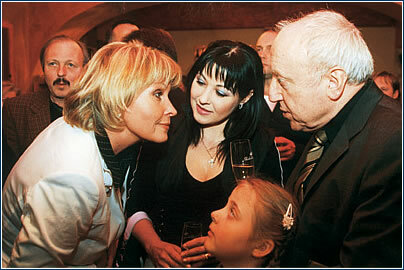 Hana Švejnohová (left), moderator; actress Dagmar Patrasová with her husband musician Felix Slováček. Dancer Yemi with Lucie Koňaříková glided through the evening. Another well known local restaurant is coming back to life after several months’ absence due to last year’s floods. 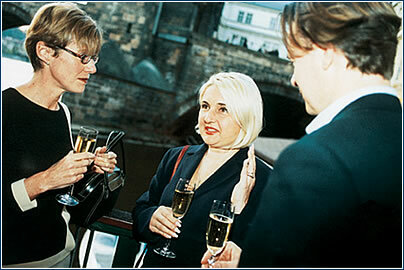 In honor of the “first real spring”, a party at Mlýnec drew a well-disposed crowd of business and entertainment VIPs. Actress Kateřina Hrubešová with the owner of Mlýnec restaurant, Sanjiv Suri. 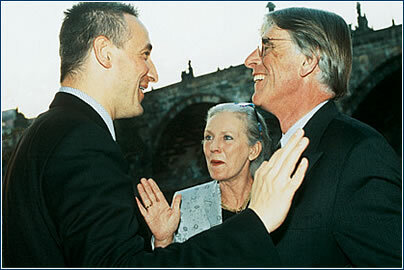 Jan Bubeník (left), partner of Bubeník & Partners and Jaap Aardse, general director of Ardsco, with his wife Lenny. 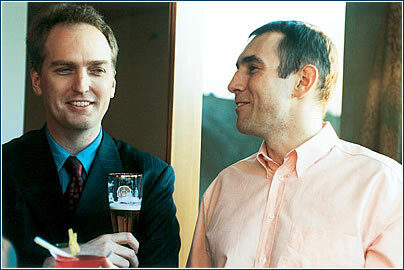 Weston Stacey (left), executive director, American Chamber of Commerce, with Martin Jahn, general director of CzechInvest. 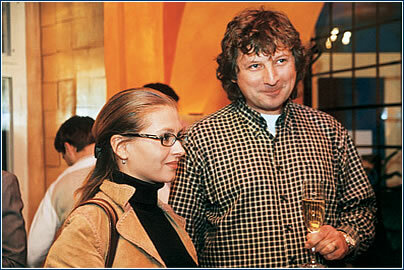 Magdalena Souček (left), deputy audit head, Ernst & Young, Helena Kroftová-Leisztner, owner of Gallery HL, with her husband Roland. We would like to apologize for an error in our April issue, wherein we wrongly identified Mr. Pilz as the general manager of Grand Hotel Danubia. He in fact holds that post at both the Grand Hotel Bohemia and the Crowne Plaza.